Just kidding, you´ll probably never get lost on a Disney family cruise. A Disney Line cruise is not only a wonderful family vacation, but offers romantic moments for busy parents too. Walt Disney Company offers cruises for the whole family to enjoy. The Disney Cruise Line currently operates four ships: Disney Magic, Disney Wonder, Disney Dream, and Disney Fantasy. There will be two new ships added to the fleet in 2021 and 2023. All of these cruise ships have most of the amenities and services found in other cruise lines except the casinos, designed to be friendly for the whole family. The ships look pretty much identical with their designs, but have a few differences in entertainment venues and restaurants. Disney family cruise where there is something for every age. If we compare the newest sister ships the Disney Fantasy vs. Disney Dream you will find a slightly different design as the Dream sports an art-deco design, while the Fantasy is styled in art nouveau. Disney Dream received the new Millennium Falcon kids club play area. 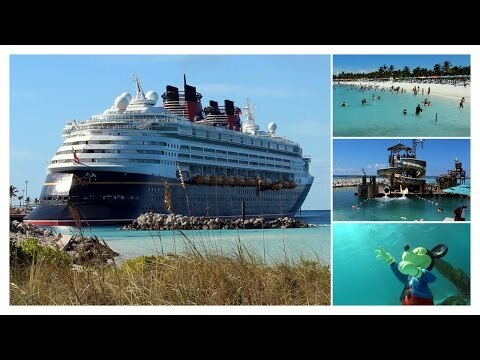 The main difference is itinerary, while Disney Dream is for the shorter cruises, if you are looking for longer Disney family cruise opt for the Disney Fantasy. Disney Cruise Line operates Disney Cruise Line Terminal in Port Canaveral FL, which is the home port for Disney Fantasy and Disney Dream. Disney Magic´s home ports are Galveston TX, Miami FL and Barcelona (Spain). Disney Wonder is homeported in Miami and Vancouver. Most Disney family cruises depart from Port Canaveral, FL in the Disney’s Art Deco terminal. Cape Canaveral is a wonderful place to stay before you embark or to extend your vacation. Just minutes from Port Canaveral there is Cocoa Beach, one of the most affordable vacation spots in the sunshine state, with no lack of exciting things to do and see. Flounder’s Reef Nursery and It’s a Small World Nursery are especially designed for parents of children under 3 years for group babysitting and playtime. Oceaneer Club and Lab – are safe interactive play areas are safe, where kids can let their imaginations run free, while under the supervision of trained Disney youth counselors. The activities are for kids aged 3-10 years old. They can dress up as a pirate or a brave captain and play with cartoon characters of Disney that will visit. The Edge for tweens 11-14 is an interactive play space offers dance floor, lounge area, latest high-tech music, video and gaming systems, as well as karaoke, scavenger hunts, themed nights and other special events. Vibe is directed to teens ages 14 to 17 where they can enjoy music, movies at a big screen TV, video games and more. There is also a teens-only spa aboard the Disney Dream cruise ship, Disney Fantasy ship and Disney Magic. visit A m a z o n.
But there is also fun for the older ones as there are a number of adults-only activities and venues to choose from, like stylish nightclubs and lounges, the theaters, fitness centers, indulgent spa and salon services, elegant dining at some restaurants, and the secluded Quiet Cove Pool aboard the Disney Dream and Disney Fantasy. Castaway Cay (key) is Disney’s Private Island in the tropical waters of the Bahamas with wonderful white sand beaches and clear water of the Caribbean. If you don’t want to just lie around on the beach you can book excursions at Castaway Cay ahead that include snorkel equipment, float, raft or bike rental. The food in Disney family cruise lines, as with any other cruise liners, is superb. They offer All-You-Can-Eat menus ranging from formal to casual dining. Here are some of the restaurants available in the Disney Dream and Disney Fantasy: The Royal Palace, The Enchanted Garden and The Animator’s Palette all offer above-average cuisine. The Cabanas buffet, for breakfast and lunch, is a more casual, and another tasty option. Compare that to Disney World, where even the fast food options are really pricey. Disney Line Cruise offers various destinations, including the Bahamas, the Caribbean, Panama Canal, Canada and New England, Alaska and United States Pacific Coast, and European transatlantic destinations like the British Isles, Norway, Denmark and the Netherlands as well as the Mediterranean. What about the Disney Cruises prices for family of 4? Let me give you an example, the Disney Cruise prices for family of 4 on a 3-night Bahamian trip on the Disney Dream is between $2,000 and $3,000, depending on the season. This is in comparison not much more than a 3-day-stay at Disney World including multiple-day Park passes, Disney hotel, parking and meals. A Disney family cruise is indeed a great way to relax with the kids. Disney Cruises will surely give the best experience in cruising. The thrills, entertainment and recreation activities are combined into one great magic experience. You must be 18 years of age or older and a United States of America resident to participate in the Disney family cruise sweepstakes. Wish you luck!